Individual Team Training | Sentry One Consulting Group, Inc.
Sentry One is equipped to tailor training sessions targeted for an individual church safety team or a combination of team members from area churches. This could be as simple as walking a team through how to use the Church Safety Starter Kit, a single day of classroom hands-on training for the basic church safety officer duties or multiple days of advance reality based training (RBT) using scenarios drawn from real events. 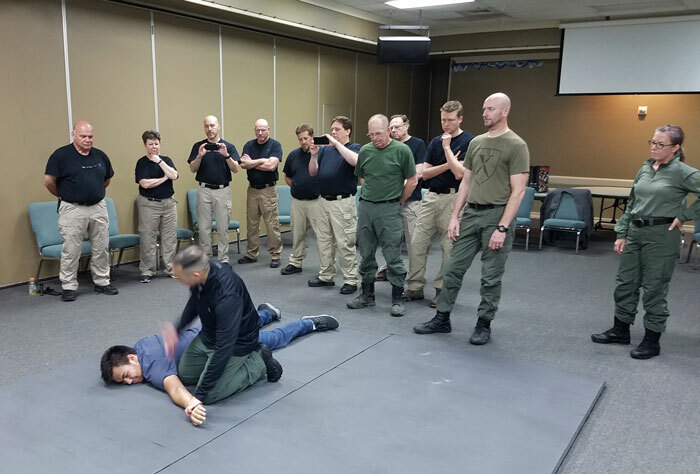 Advanced Classes: Are designed around each team’s individual needs and utilize RBT (Reality Based Training) scenarios to enhance each team member’s ability to make good decisions under pressure and to build effective “team” response dynamics. They typically run in four hour blocks on site at the host church but can be scheduled to best fit each team. Your Team’s Biggest Enemy Will Be the Day to Day Routine. To combat that over the long haul you must create a “culture” of training.